Did you know mortgages can be less than rent? All R.E.N.S. 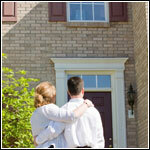 Clients get preferred rates and appraisal fee costs. What this means is that you get the best mortgage deal possible! Mortgages are available from CIBC, TD Canada Trust., and 40 other lenders! Let's get started finding your new home! As I was out and about showing new homes this weekend, it came to mind that purchasers are not always aware that new construction homes come with a warranty in Alberta. Click here for a short video explaining the AB New Home Warranty. The warranty is transferable to new owners if you should decide to sell prior to the warranty expiring. If you are considering building or buying a new home contact me. Exciting news for Edmontonian investors! You can now apply for permits to build secondary suites in homes on narrow lots, semi-detached, duplex and row houses. Zoning Bylaw changes were passed by Edmonton City Council to allow secondary suites into these home styles on August 20, 2018 and are effective immediately. The Edmonton has also launched an online database where tenants can check to see if a suite has the proper permits in place prior to renting. Not only does this expansion for secondary suite opportunities help provide all neighbourhoods in Edmonton these suites can also contribute to more affordable housing options. Homeowners can benefit with the help of rental income which acts as a mortgage helper. Homeowners with existing, unpermitted suites can now apply for permits and become regulated. The City has offered an incentive for homeowners with unpermitted suites to come forward by waiving the application penalty fees if they voluntarily apply for permits before September 1, 2019. Homeowners with existing suites built before 2007 may also benefit from decreased retrofit costs if they obtain permits prior to changes to Provincial Fire and Safety Code regulations anticipated later this year. Edmonton is offering grant funding to help homeowners cover construction costs. The funding can cover up to 50 percent of the cost of building a new suite, or upgrading an existing one, to a maximum of $20,000.